Older adults that are recovering from an injury, have to fight with the effects of chronic illnesses or general struggles related to the aging process. They may significantly benefit from occupational and physical therapy provided by Open Door Home Care specialists. With their assistance, our clients are able to target a number of problems their bodies face and restore their strength, balance, coordination, flexibility, and general physical activity. Why is physical and occupational therapy so important for the elderly? The main purpose of physical therapy for seniors is improving the functions impaired because of an injury, disease or as a result of the natural aging process. Whether the seniors’ issues are related to nerves, bones, muscles or joints, our professionals are able to help. 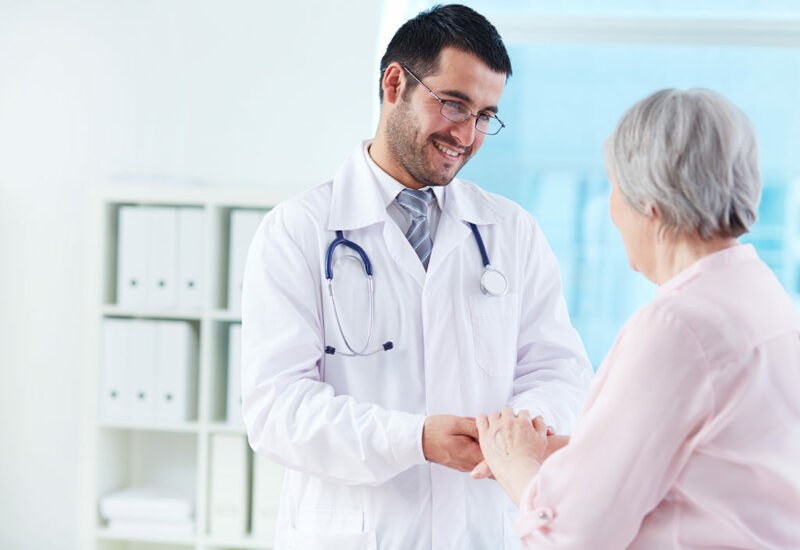 When treating senior patients, our specialists evaluate their physical state and, depending on the assessment results, develop a custom plan to treat such problems as consistent pain, the lack of muscle strength, poor balance, and endurance, difficulty walking, etc. Physical therapy for seniors includes a combination of different methods and approaches that allow overcoming the aforementioned issues. Stretching, walking, massage, custom exercising routines, hydrotherapy and electrical simulation are the most commonly used ones. At Open Door Home Care, physical therapists are able to restore the elderly individual’s independence and increase their physical activity. They bring the pain down without any medical intervention and improve the health of older adults. Manual therapy – performed by a physical therapist in order to relax the individual and reduce his pain by affecting its source. It combines such techniques as mobilization and manipulation. The first one means that the therapist applies slow movements (twisting and pulling) to bring patient’s bones and joints back in place. By doing so, the specialist is able to loosen up tight joints and nerves, as well as improve flexibility. Manipulation is a completely opposite technique that involves fast, quite forceful movements to reorient patient’s joints and bones and relieve the pain. Heat therapy – rather beneficial for senior patients as the heat relaxes the muscles and promotes better blood circulation. It’s great to relieve all sorts of pains, including chronical ones, too. Cold therapy – with the application of ice packs, ice compression and ice massage, therapists reduce the pain and swelling caused by arthritis and a couple of other diseases commonly experienced by senior individuals. Hydrotherapy – physical therapists use water in order to help patients to cope with or even treat different illnesses. It’s beneficial for those seniors who want to heal soft tissues, improve the blood flow, experience ultimate relaxation and maintain their health. Massages – therapists influence client’s muscles and soft tissues to relax him, improve the circulation and eliminate the pain. Electrical stimulation – professionals use electrical current to affect certain health issues and achieve the desired results. It’s especially useful for stroke victims and seniors suffering from arthritis. Ultrasounds – is often used to reduce/eliminate spasms in muscles and relax them. It’s also possible to treat specific conditions with the help of the physical therapy. For instance, the medical community recognizes that it helps to reduce and offset the symptoms of arthritis, Parkinson’s disease, Alzheimer’s, chronic obstructive pulmonary disease, etc. Stroke and incontinence patients notice significant health improvements after they go through physical therapy courses as well. In addition to providing physical therapy in the State of New York, Open Door’s specialists also educate their senior patients on the ways to control their bodies better and avoid injuries. Our therapists may provide their services right at the client’s homes to eliminate the traveling inconveniences. Open Door provides occupational therapy for seniors to help them cope with the effects of their diseases and the aging consequences. With the support of our specialists, seniors complete the rehabilitation process and overcome the daily challenges such as bathing, dressing, feeding, etc. Our staff members may also set up the living space of seniors and disabled individuals to make their lives a lot easier and maintain their independence. They install built-up eating utensils, semi-automatic cutting boards, bathtub benches or handles. As a result, the therapists promote better health in senior individuals, heal them restore the confidence, prevent falls and other unfortunate accidents. Contact our specialists to find out which kind of physical therapy meets your needs and schedule the sessions.